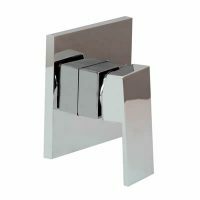 The Cube Freestanding Bath Mixer Tap with Hand Shower makes for an excellent addition to your bathroom. 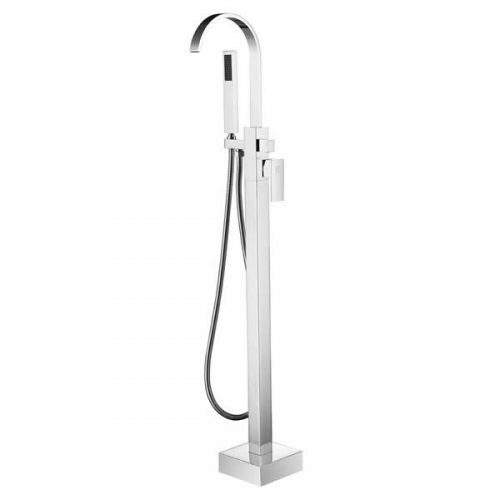 Suitable for use as a freestanding faucet in baths, this floor mounted bath mixer features a hand shower, which makes it very practical, and a brilliant chrome finish, which makes it look very glamourous indeed. The Cube Freestanding Bath Mixer Tap with Hand Shower is all about great looks and high performance. 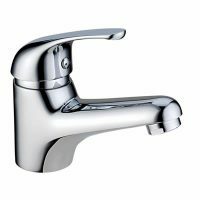 It is manufactured to the highest standards of quality and as a result, it is a Watermark approved and cUPC certified product. Manufactured from durable brass, the Cube Freestanding Bath Mixer Tap with Hand Shower comes equipped with a stainless-steel shower hose and a stylish zinc handle. As a result, it will not lose its looks or surface finish even with the rigors of daily bathroom usage. Trust that this is one very cleverly designed bath mixer. It can easily be installed in any bathroom space and it is very easy to use and operate. So, if you’ve been hunting for a freestanding bath mixer in Perth, look no further than the Cube Freestanding Bath Mixer Tap with Hand Shower. Purchase this glamourous bath mixer at the lowest price from our online store today to avail free delivery across Perth Metro!